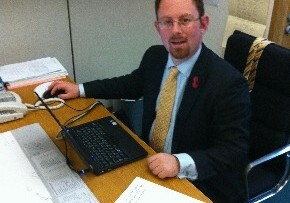 MP Julian Huppert spoke out in Parliament yesterday in favour of a proposed change in the law which would give Police Community Support Officers new powers to clamp down on cyclists riding without lights. The move would allow the officers to issue fixed penalty notices to anyone found riding illegally. It was outlined as a new clause to the Anti Social Behaviour, Crime and Policing Bill being debated in the Commons . Julian told Parliament: “One of the banes of my life is cyclists who do not obey the rules of the road. Anything that we can do to get people to cycle safely and legally will make it easier for those of us who want to extend facilities for cyclists. There are sensible ways forward. He added that he is a “huge champion of cycling” and was delighted when Parliament passed a motion to ‘get Britain cycling’. Julian, who led the Get Britain Cycling inquiry and the subsequent report which outlined 18 recommendations for the government to encourage cycling and make it safer, added later: “Cyclists have to be responsible road users. They have to understand that they have a responsibility to cycle safely and legally. Would you be able to add, not riding in a cycle lane, to the fixed penalty notice. As I drove down Queen Edith’s Way, this morning I saw six or more cycles on the road. When the path/cycle lane is clearly marked. We see this all the time around Cambridge even when there are large dedicated cycle lanes. Which have been built, at a great cost the tax payer. Their putting them self in danger, as some drivers these days, have no time to wait for a safe time to pass.